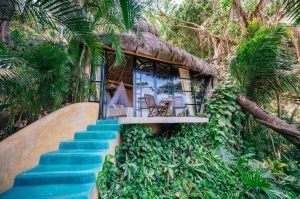 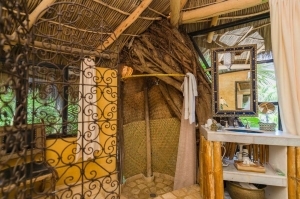 The Villa Besame Mucho (Kiss Me a Lot) at Amor Boutique Hotel is a charming air-conditioned 1 bedroom privately perched within our lush green Jardin de Besos (Kissing Garden). 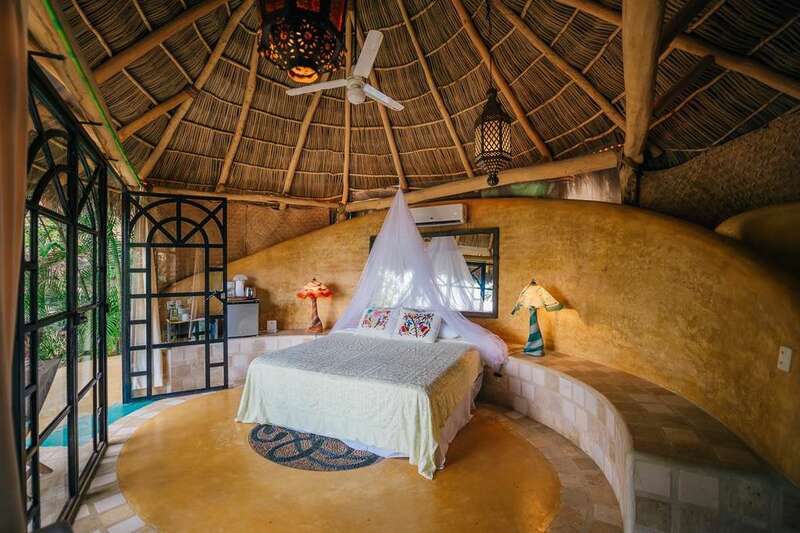 This romantic, magical villa will truly give you a sense of living in nature. Enjoy the perfectly-appointed Mexican decor and feel completely secluded by drawing your white, romantic full-length curtains. 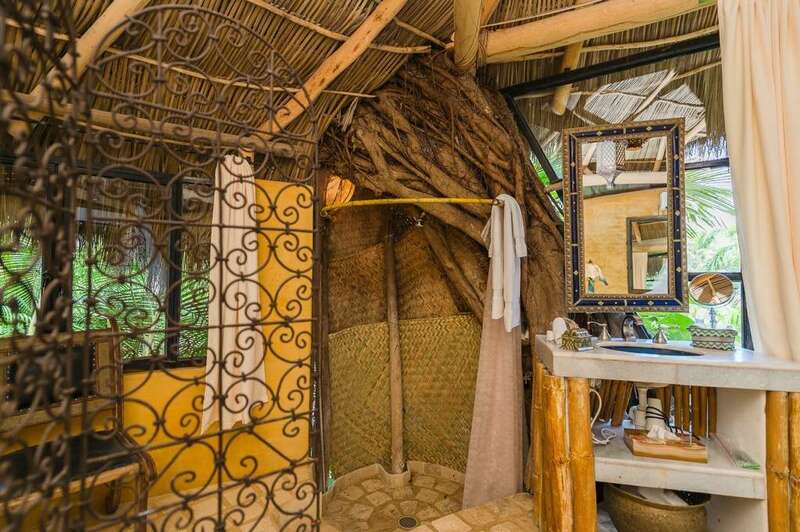 Enjoy a shower where the surrounding trees are built into this beautiful Villa’s bathroom. 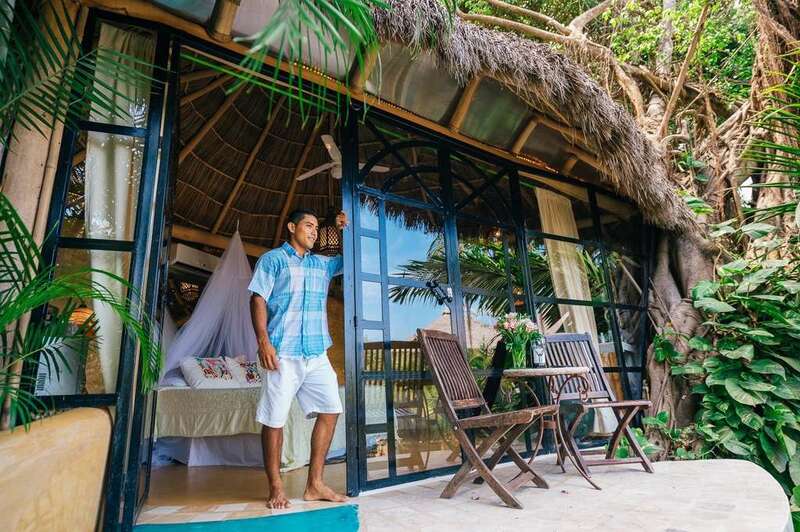 Open the glass door to enjoy the gorgeous garden and ocean from your Villa. Sit on your private and quiet ocean view terrace to enjoy a great book and iced coffee. Take a quick stroll to access Sayulita’s main beach, or meander 5 minutes into cute Sayulita for restaurants, shops, and bars. 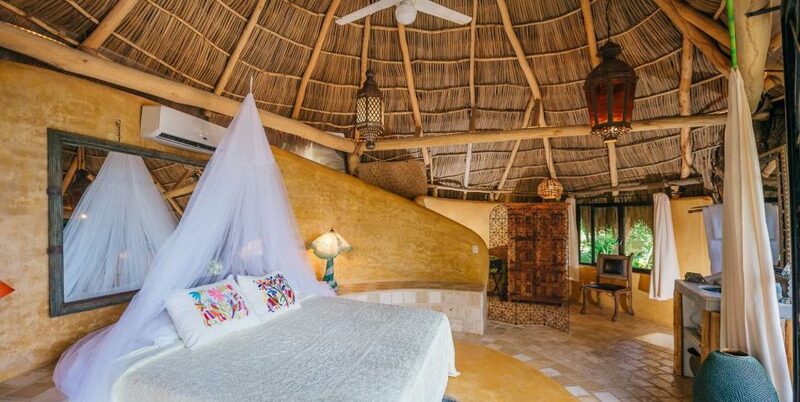 Our guests return to Sayulita year after year for its safe, charming, and fun vibe. 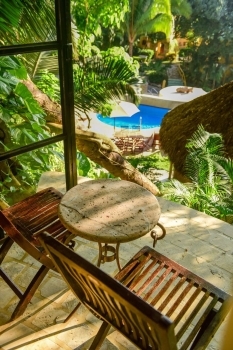 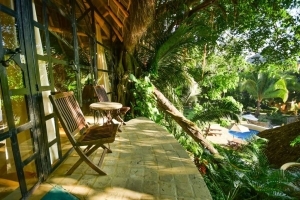 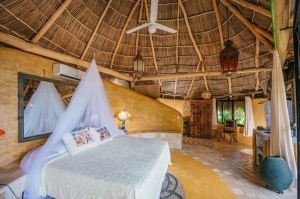 Villa Besame Mucho is conveniently located next to the pool, expansive lawn with myriad hammocks, and our Jungle Spa. 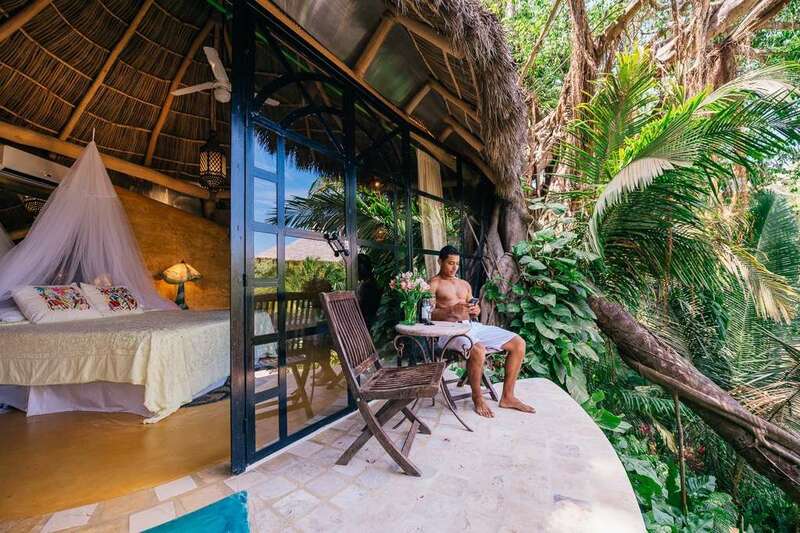 The wonderfully fragrant tropical flowers are inviting, relaxing and soothing to your soul.